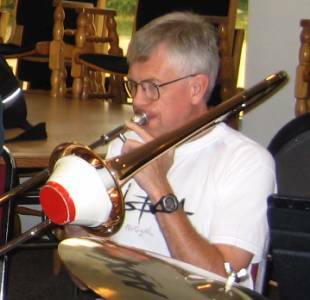 I’ve been playing trombone since 1958 when I joined the Walthamstow Borough Silver Band in London (England) as a complete beginner. I played in my school orchestra, after deciphering bass clef – British brass band parts were in treble clef then and that was all I knew – and later joined the first of many big bands that rehearsed and played in various pubs in and around London. I also played 2nd trombone in the Forest Philharmonic Orchestra, a largely amateur but very good orchestra. We played a lot of great repertoire, including Richard Strauss’s “Heldenleben” and “Don Juan”; “The Planets”; symphonies by Brahms and Dvorak; and Berlioz’s “The Damnation of Faust” and Symphonie Fantastique”. Between the mid-sixties and mid-seventies I was at concerts, operas, etc. at least twice a week, regularly hearing the five great London symphony orchestras, as well as the Berlin Philharmonic under Karajan and the Vienna Philharmonic under Solti. I also saw Placido Domingo’s first appearance at Covent Garden. The bands of Duke Ellington, Count Basie, Buddy Rich, Woody Herman, and Stan Kenton made regular appearances in London, as did Ella Fitzgerald, Tony Bennett, Sarah Vaughan, Oscar Peterson, and many others, including a “super sextet” that came to London twice and included Dizzy Gillespie, Sonny Stitt, Kai Winding, Thelonius Monk, Art Blakey, and Al McKibbon. I saw them all! 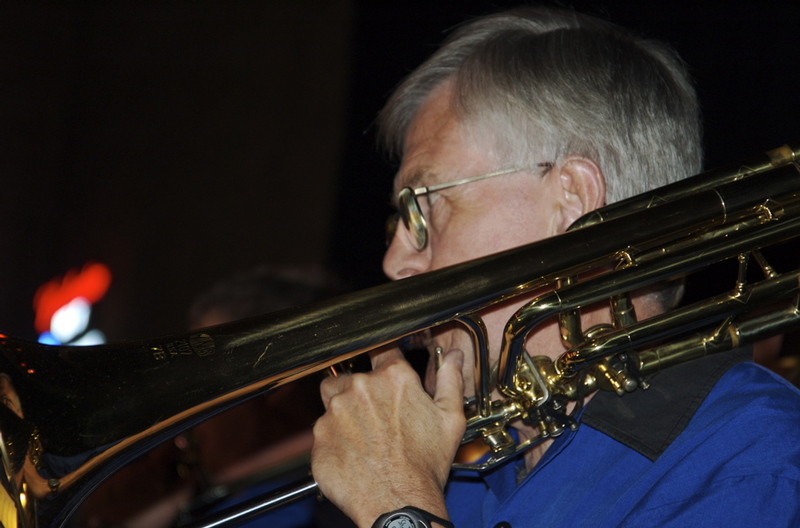 Since coming to Edmonton in 1982 I’ve played in a variety of groups including the Cosmopolitan Music Society, the River City Big Band, the Ritchie Trombone Choir, the Tommy Banks Orchestra, and, of course, the Trocadero Orchestra. During that time I’ve been able to play with such great musicians as Bob Stroup, John McPherson, Chris Taylor, Neil Corlett, Harry Pinchin, Tommy Banks, PJ Perry, and Craig Brennan, and feel very fortunate to be a small part of Edmonton’s exceptionally rich and talented musical community.